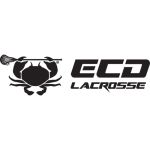 The Carbon shaft from East Coast Dyes is designed to perform at the highest level. The Carbon is made with advanced composite materials and manufacturing process, which ensure the highest quality and performance. The advanced carbon fiber construction allows the shaft to have a high strength to weight ratio. This shaft is very durable and weighs only 176 grams, making it one of the lightest shafts available. On our 10 point flex scale, the Carbon is a Flex5, which makes it an easy transition from a standard alloy shaft. The Carbon also features a textured grip and has a classic octagonal shape with slightly concave sides for the perfect feel in your hands. Its textured grip has a slight sandpaper feel for increased grip, feel, and all weather performance. This means less tape on the shaft!